WASHINGTON (AP) — The U.S. uniforms for the Olympics are made in China, causing members of Congress to fume. Congress railed on Thursday about the U.S. Olympic Committee’s decision to dress its team in Chinese-manufactured berets, blazers, and pants, while the American textile industry struggles economically with many U.S. workers desperate for jobs. “I am so upset. I think the Olympic committee should be ashamed of themselves. I think they should be embarrassed. I think they should take all the uniforms, put them in a big pile, and burn them and start all over again,” Senator Harry Reid said. “Unlike most Olympic teams around the world, the U.S. Olympic team is privately funded and we’re grateful for the support of our sponsors,” USOC spokesman Patrick Sandusky said in a statement. 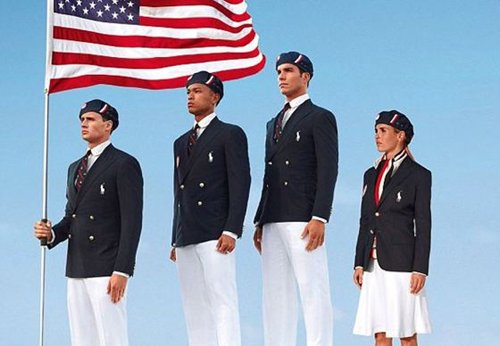 Ralph Lauren also is dressing the Olympic and Paralympic teams for the closing ceremony and providing casual clothes to be worn around the Olympic Village. Nike has made many of the competition uniforms for the United States and outfits for the medal stand. “There is no compelling reason why all of the uniforms cannot be made here on U.S. soil at the same price, at better quality,” Gillibrand and Israel wrote. Associated Press writers Tim Reynolds in Miami and Alan Fram and Jim Abrams in Washington contributed to this report.